“Relations between perceptual and conceptual scope: How global versus local processing fits a focus on similarity versus dissimilarity,” which has 81 citations, according to Thomson Scientific’s Web of Knowledge — three more since we reported in November it would be retracted. “Local and global cross-modal influences between vision and hearing, tasting, smelling, or touching” has 17 citations (one more since in November). Both were published in the Journal of Experimental Psychology: General. This retraction follows the results of an investigation by the University of Amsterdam into the work of Jens Förster. The University requested the retraction of this article based on its qualitative judgement of “strong statistical evidence for low veracity”. The retraction notes also include the abstracts of the papers. I never manipulated data and never motivated my collaborators to do anything that is ethically questionable. The journals in which the eight articles in the first category [strong evidence for low veracity] and the three articles in the second category [unclear evidence for low veracity] have been published, will be sent a copy of the report with respectively a request to retract the articles or to consider doing so. 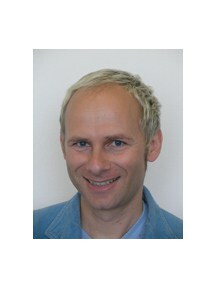 The dissertation articles supervised by Jens Förster will also be investigated. Given the appeal, our Publications and Communications board will review the cases again in May 2016 before issuing a final decision. Next Next post: Don’t trust an image in a scientific paper? Manipulation detective’s company wants to help.